For Christmas my sweet girl got quite a bit of toys. One of which being a brand new dolly and some clothes for the doll. 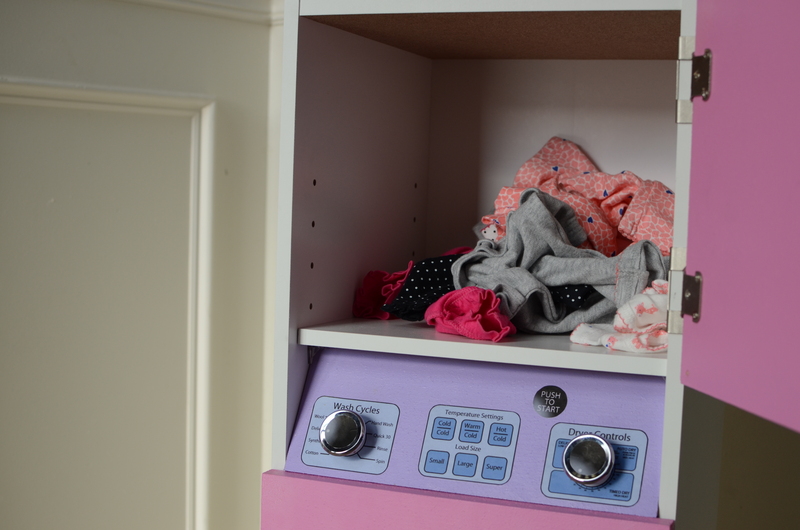 She immediately opened the clothes, changed her doll many times then decided the clothes were dirty and needed to be washed. 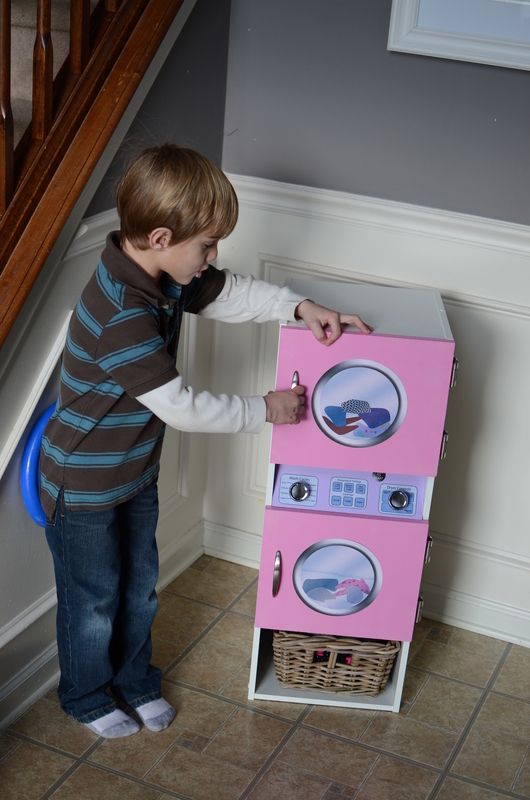 She was determined to have her own washer and dryer to clean the clothes. Santa missed out on a could have been big gift! So mommy and daddy went to work helping Santa out. Being it was after Christmas and Christmas bills and such the budget for yet another new toy was obviously not large. I found quite a few adorable options online for well over $100 each. 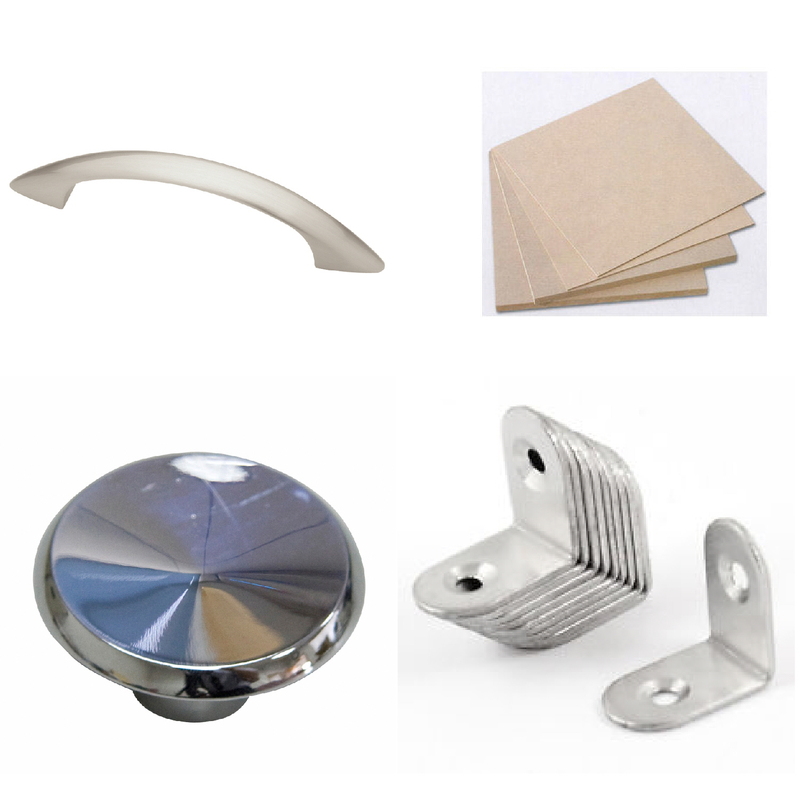 Looking at the design of most of them we decided we could likely DIY something! 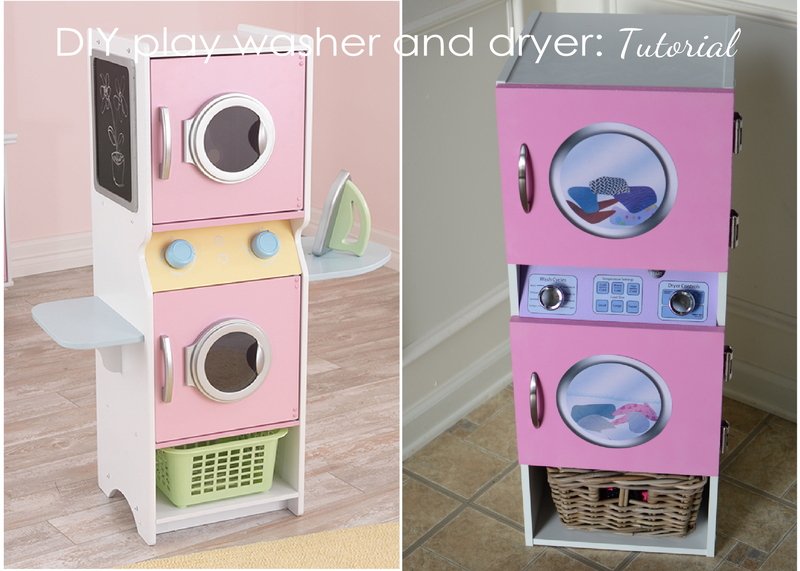 In searching pinterest most DIY washer and dryers for kids were made of cardboard. I knew with two big brothers a cardboard anything wouldn’t last long in our playhouse so we did a little planing and came up with a really great affordable idea that I just had to share! We did this project in one short weekend and most of that time was waiting on paint to dry! 1. 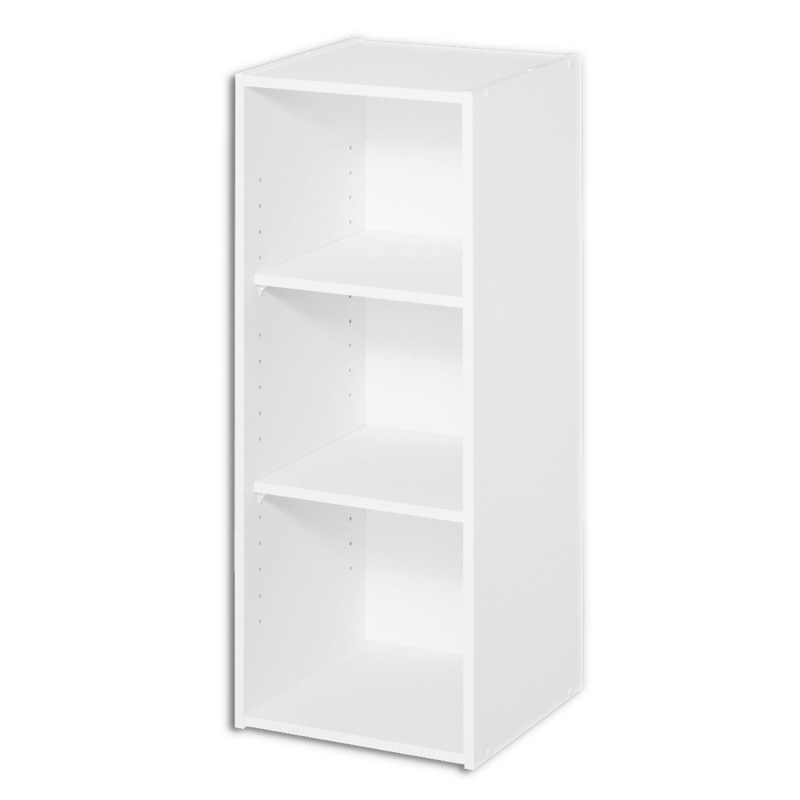 The main shelf unit is a two-shelf closetmaid unit measuring about 12 inches wide and 31 inches high. 7. Decals. I got adorable decals from a fellow etsy shop called Printatoy! 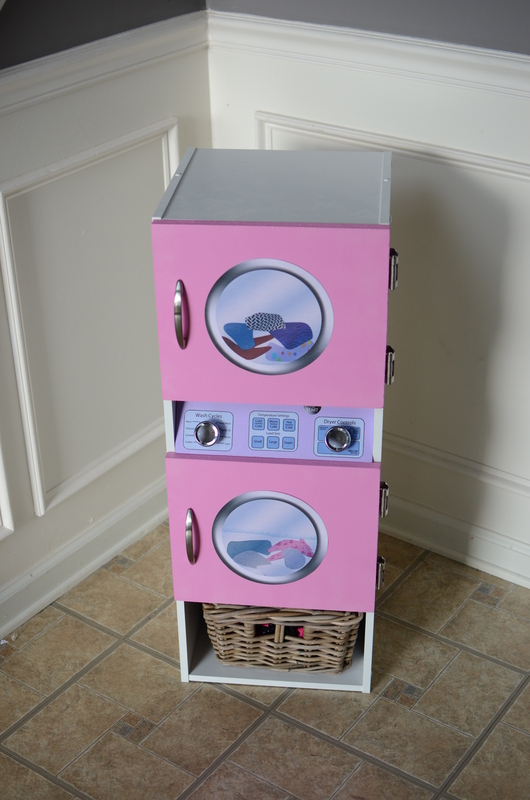 She has so many adorable decals in her shop from laundry to play kitchens and doll houses! Check out her shop for all your DIY toys! 8. Paint we use acrylic but spray paint would work also! We started by assembling the shelf unit. 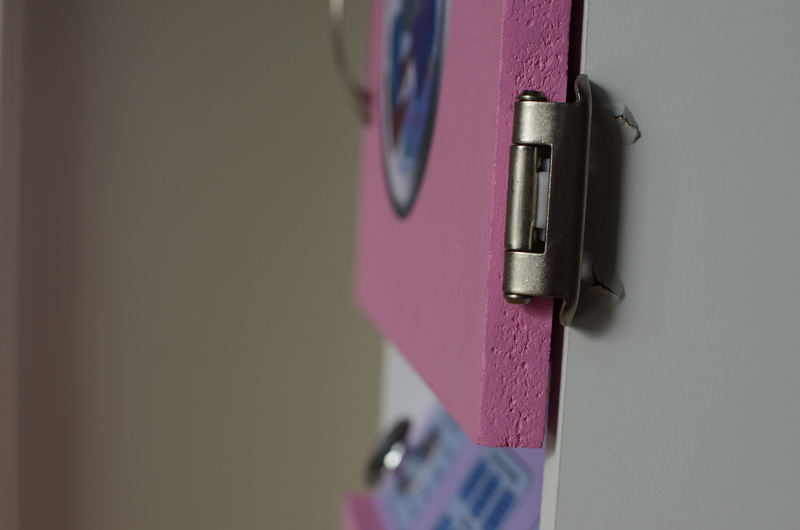 We left the backing panel off so we could access the unit from the back when attaching doors later on. We used the existing shelf holes to place the shelves leaving a larger space between them to accommodate for the control panel. We made sure to have the doors equal in size. Once the shelves were in place and doors were planned my husband measured the space for the control panel and cut that out as well. This was the tricky part that included some angles but it didn’t take much time. Once my husband had the doors and control panel cut and sanded Lily and I went to work painting. 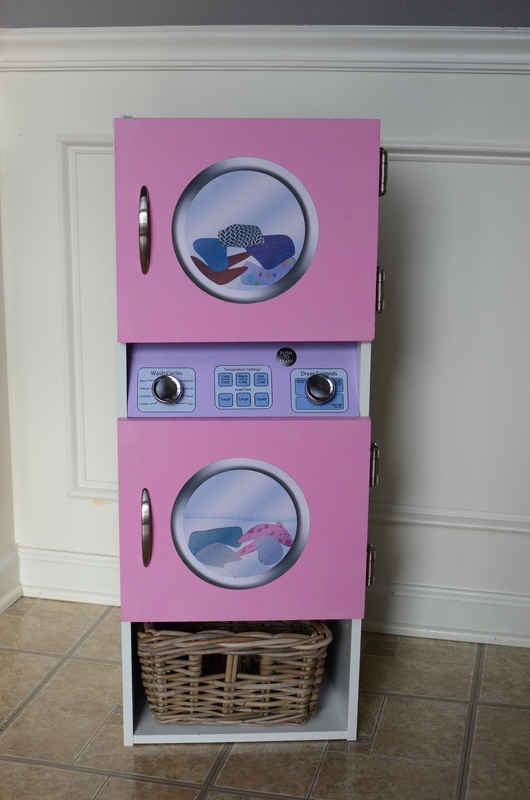 She chose the colors pink and purple for her washer and dryer. 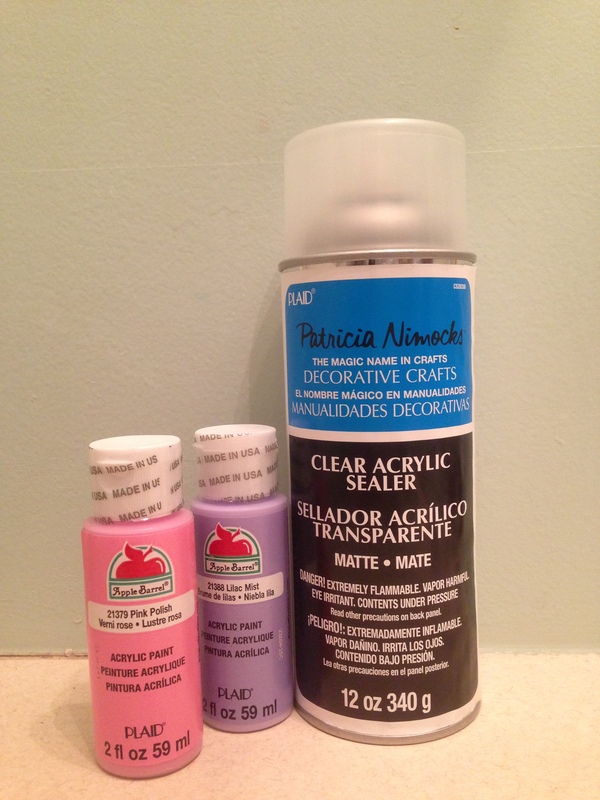 We went to the craft store and got acrylic paints and an acrylic sealer. Spray paint would work too and would essentially be easier but since she really wanted to help paint we went with these. This was the longest part of the process, waiting for coats of paint to dry. While the paint was drying we printed out the decals. They were an instant download from Printatoy which I saved to my PC. I had full sheets of standard label paper that I used and printed them on high quality with my home printer. If you don’t have a printer at home you can always send to Staples or Kinkos or any other professional printing store. Just be sure to use label paper. I don’t expect my ink jet printed labels to last forever but they are perfect for now and being I now own the file I can reprint and replace if they start to look worn! 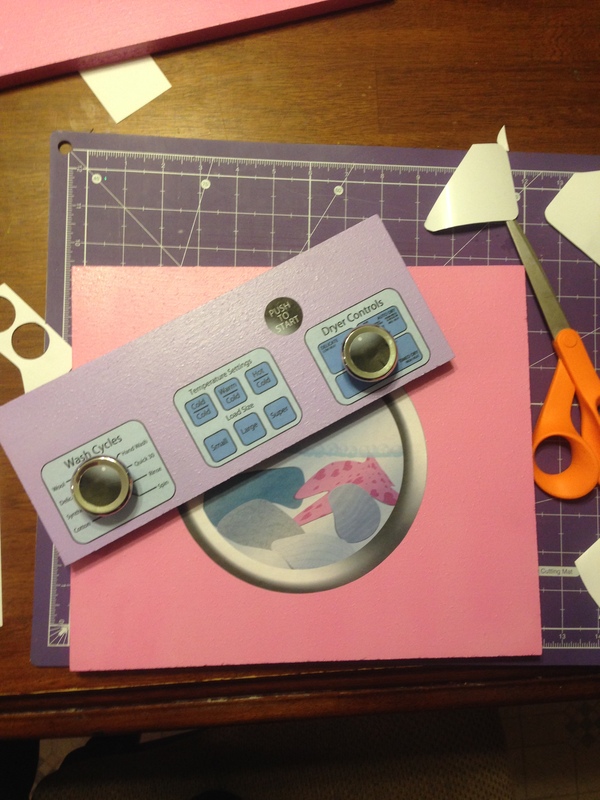 The next step was applying the labels to the doors and control panel. This part was fun! After the labels were in place and knobs were anchored with the screws they came with we put daddy to work assembling. He installed the doors first with the hinges we bought. 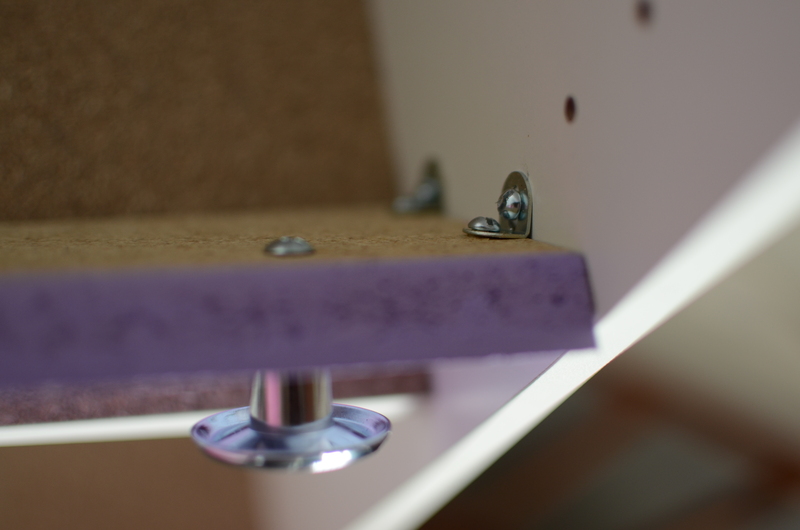 Our one small mistake here was the hinges came with screws that were slightly longer than the thickness of the shelf so they popped through a tiny bit. 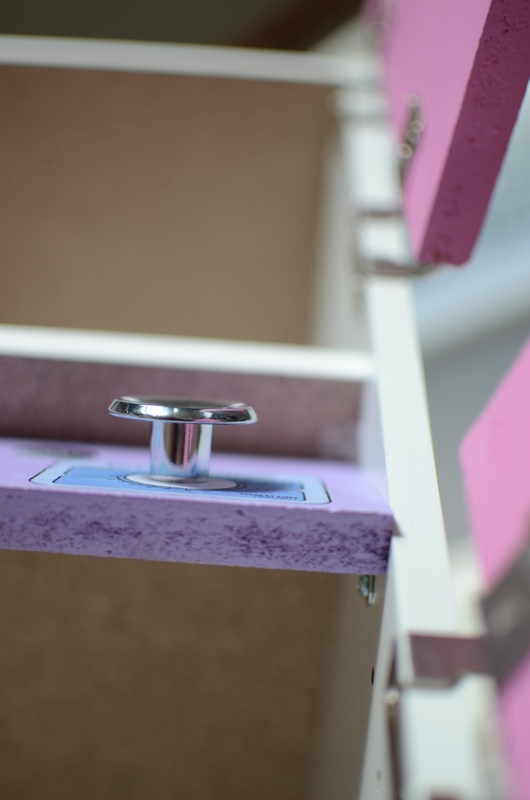 We left it as is but you can avoid this by purchasing shorter screws or filing down the screws that were included. 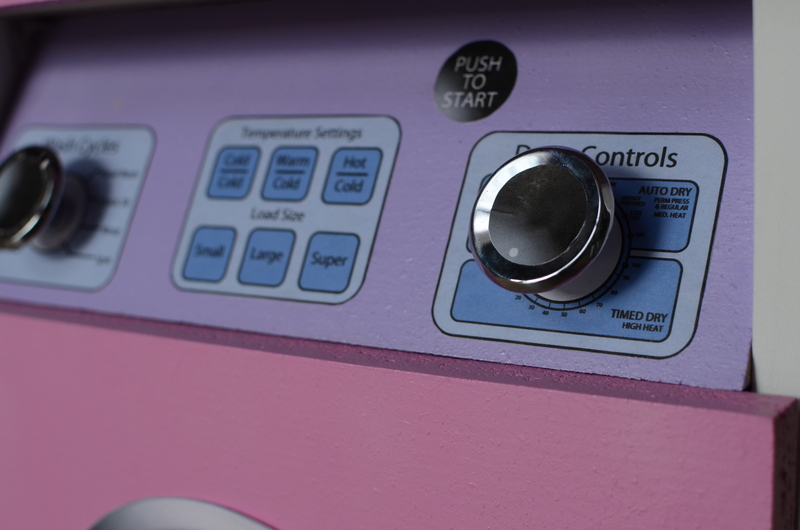 Next he measured and installed the control panel area. After all was in place we attached the backing of the shelf and let the kids play! They did two loads of laundry that evening before bed! I wish my washer and dryer worked that quickly! 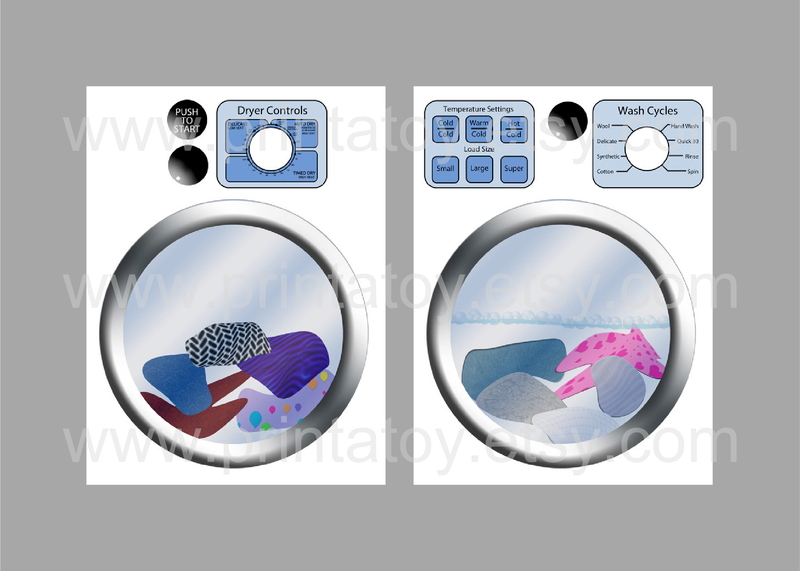 Here is a side by side of the washer and dryer we used as inspiration with our completed DIY weekend project. We may add the little ironing board at a later date. 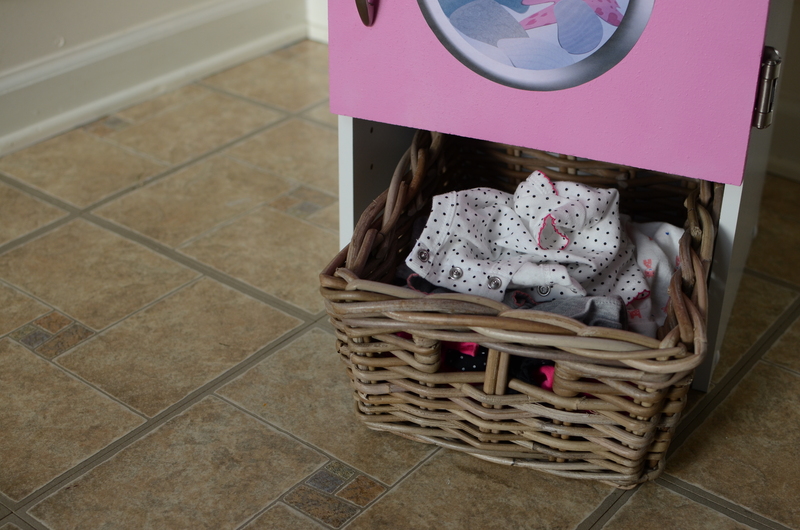 We couldn’t be happier and it is the perfect addition to their little playhouse under the stairs! 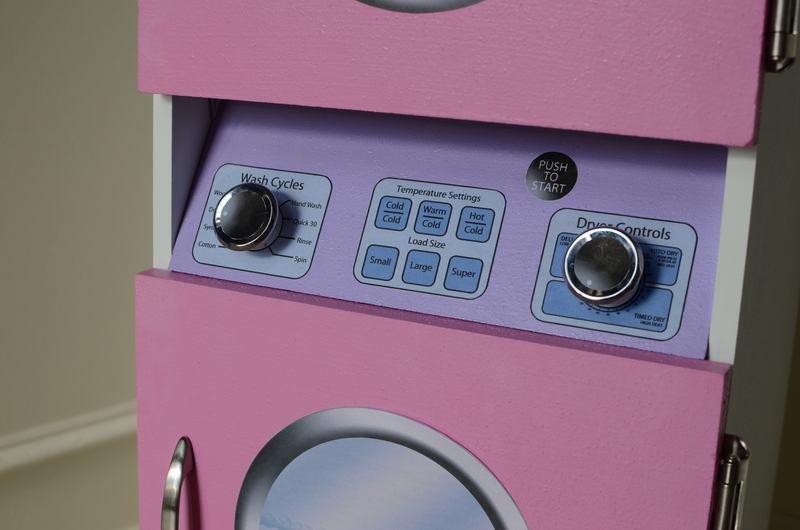 So glad dolly will have clean clothes to take a walk in her stroller in!